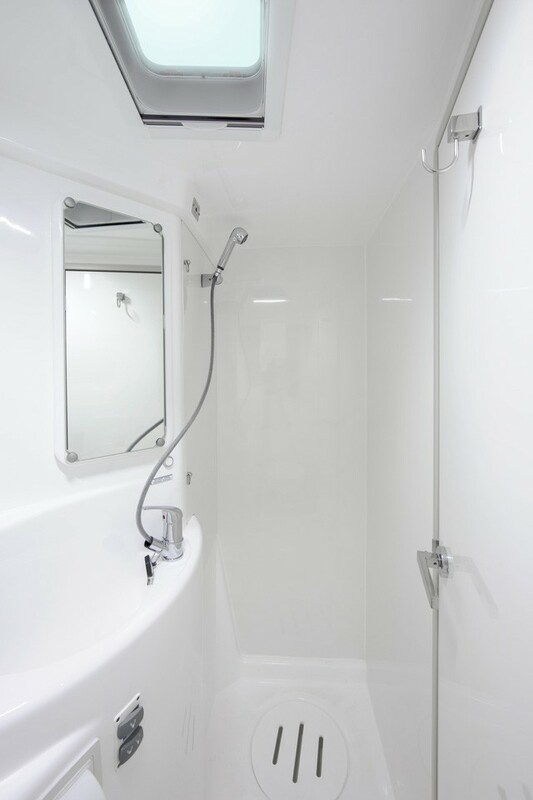 Beam : 23 ft. 9 in. 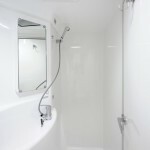 Draft : 4 ft. 2 in. 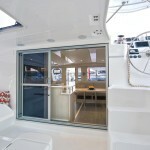 Sail : 1323 Sq. 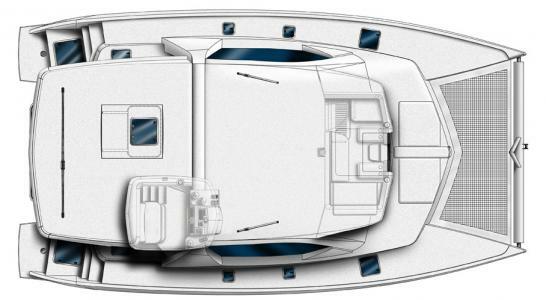 Ft.
Load Carrying Capacity : 10090 lbs. 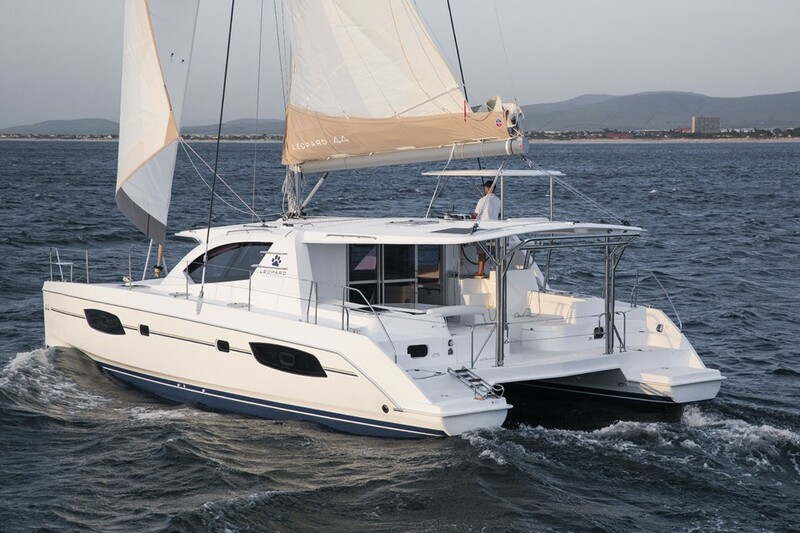 The Leopard 44 exhibits the tried and tested features that have made the Leopard line one of the most sought after brands of catamarans globally. 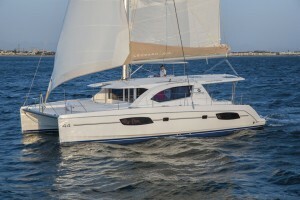 This sailing catamaran was the first production yacht to include the innovative forward cockpit, now found on all Leopard catamarans. 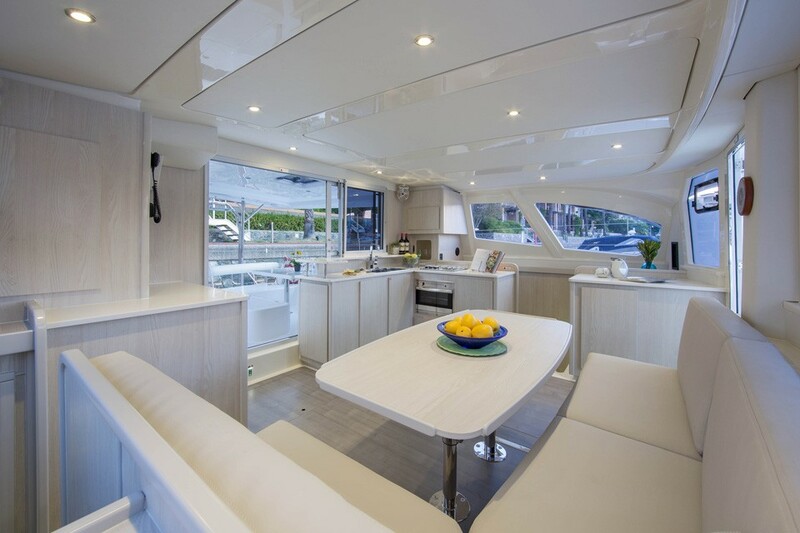 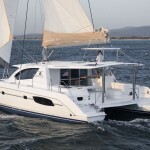 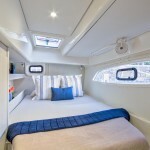 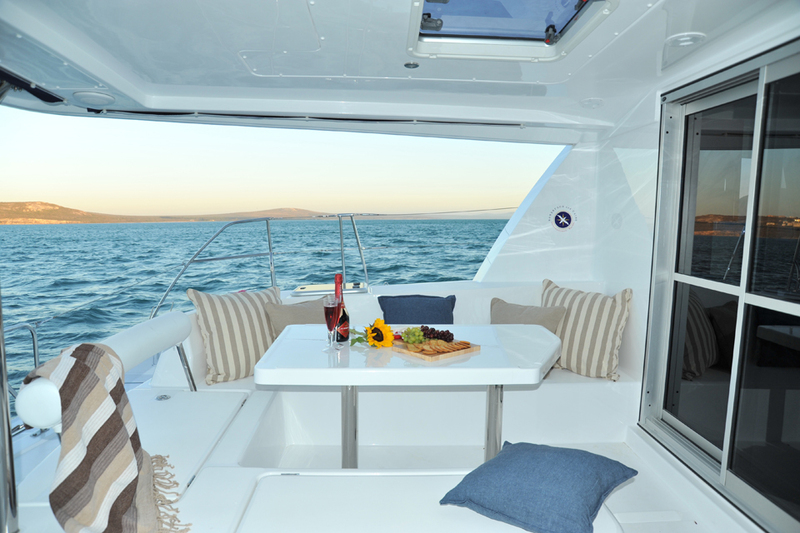 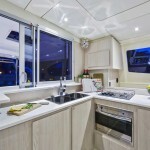 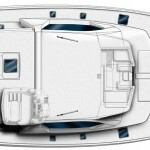 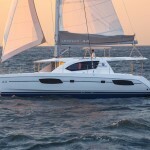 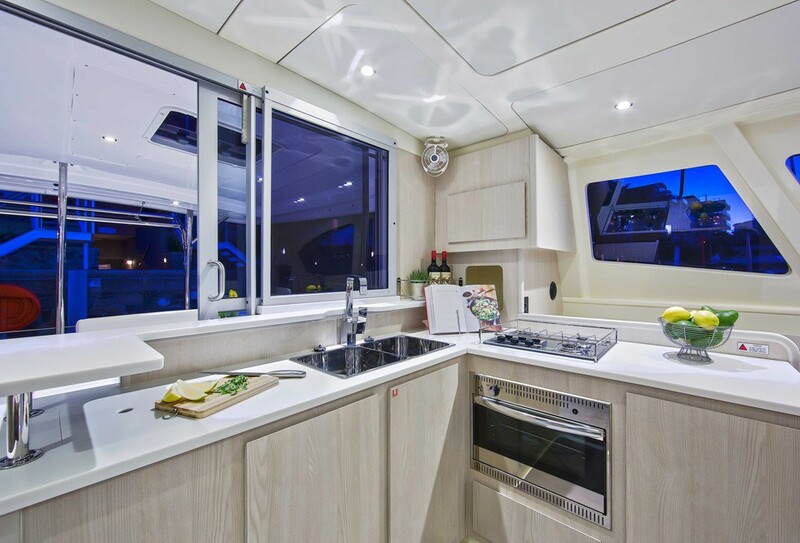 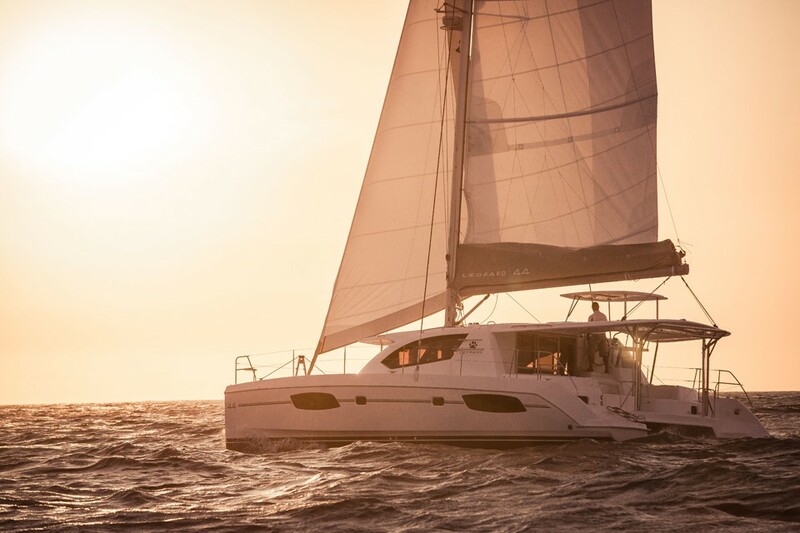 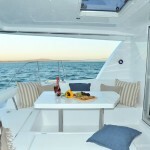 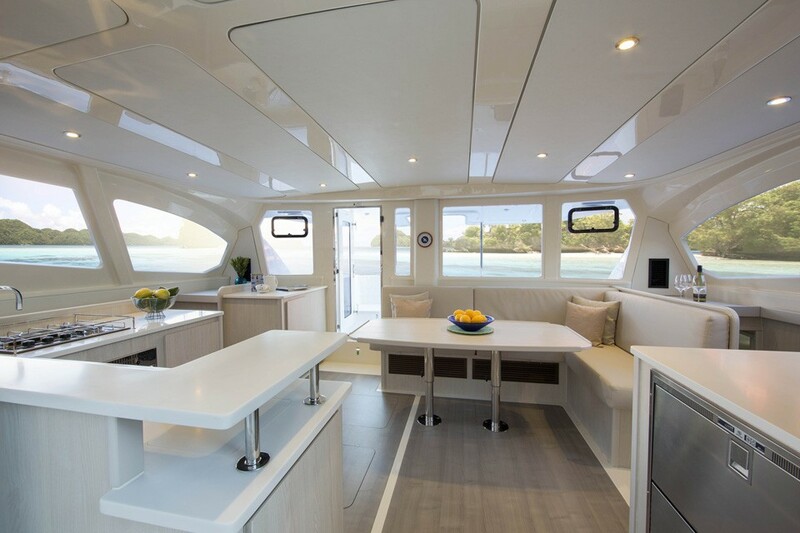 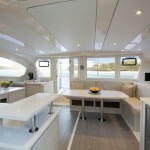 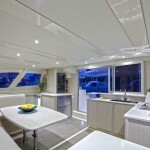 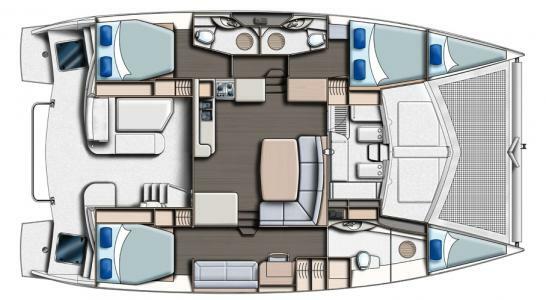 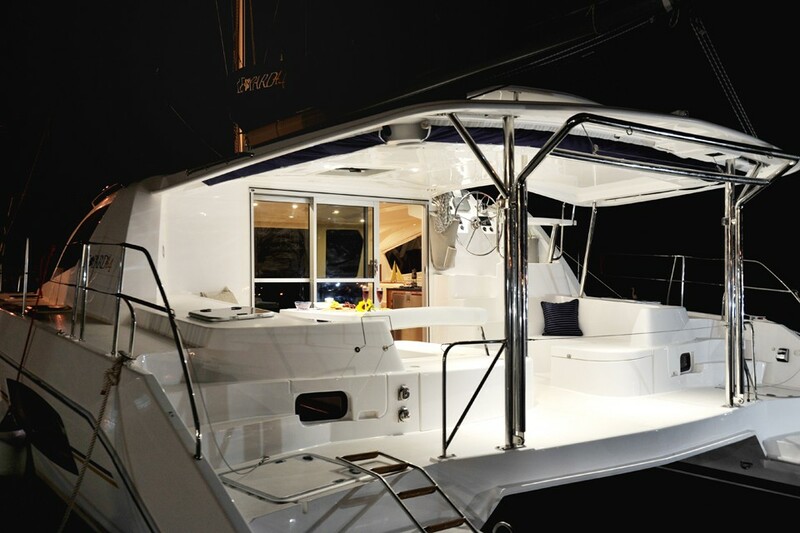 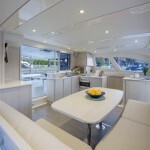 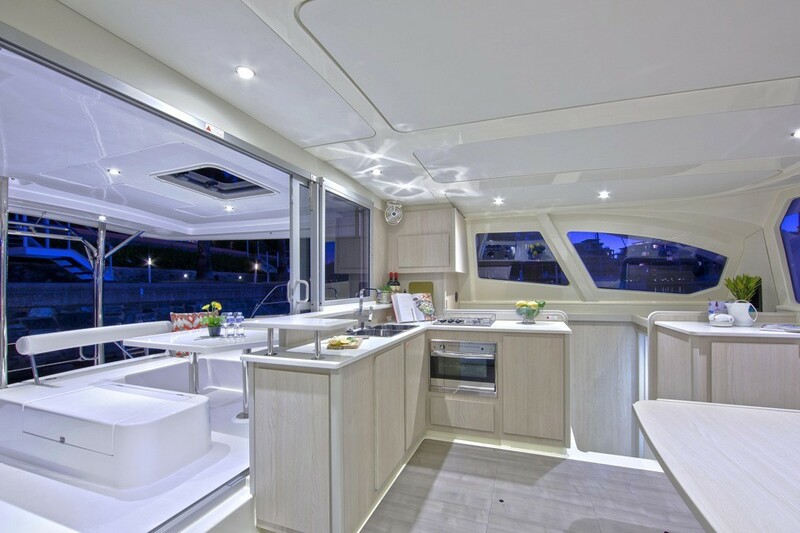 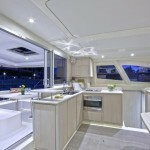 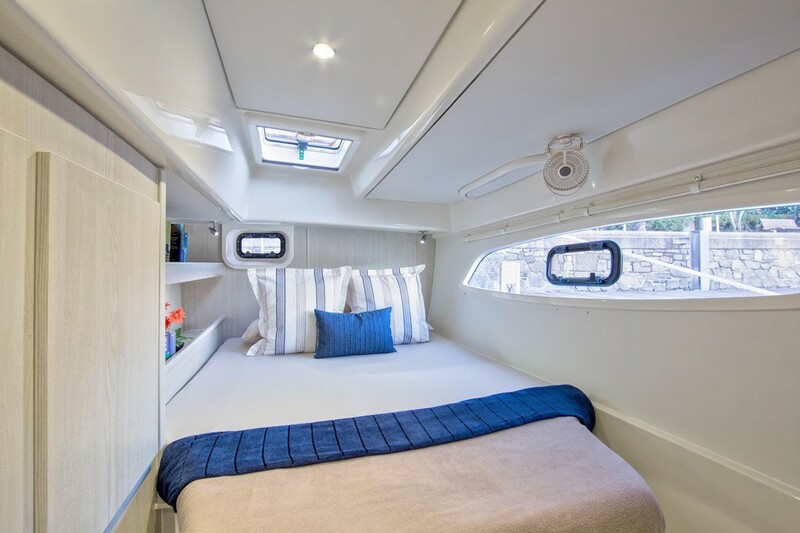 The Leopard 44 offers an integral hardtop bimini, protecting the forward and aft cockpit while also creating a comfortable outdoor living space. 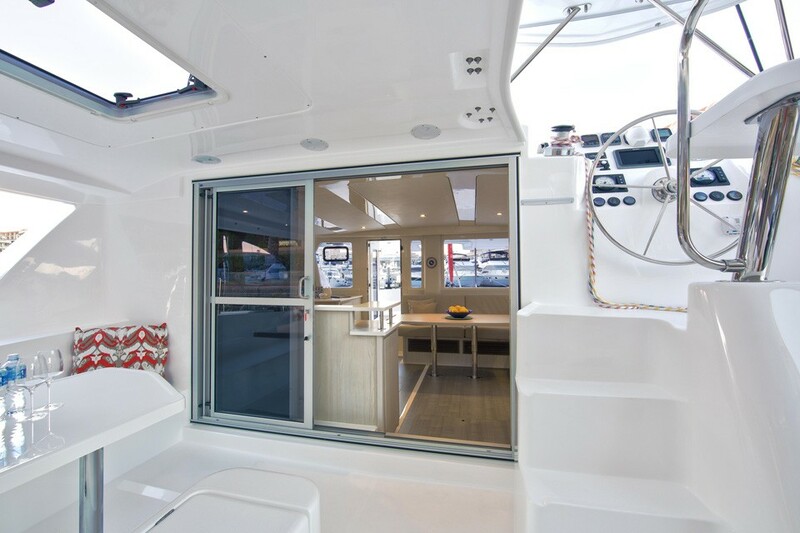 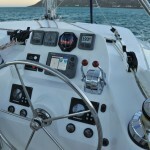 The access door to the forward cockpit provides additional ventilation into the interior of the yacht, while also allowing direct access to the forward platform of the boat. 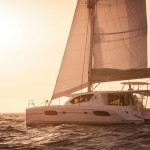 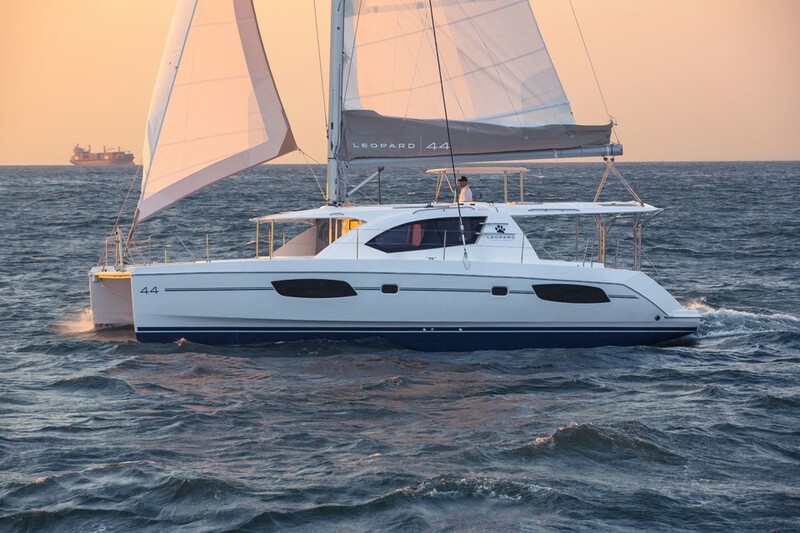 The Leopard 44’s sailing performance and ease of handling has earned her multiple awards. 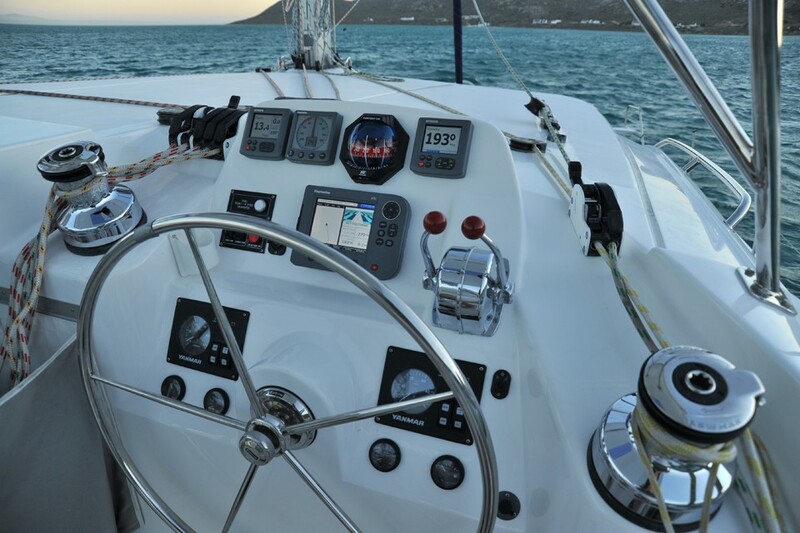 All running rigging runs aft to the standard electric winch, allowing this yacht to be sailed from the comfort and safety of the protected helm station with double helm seat and hardtop bimini. 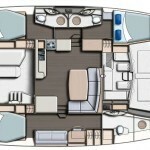 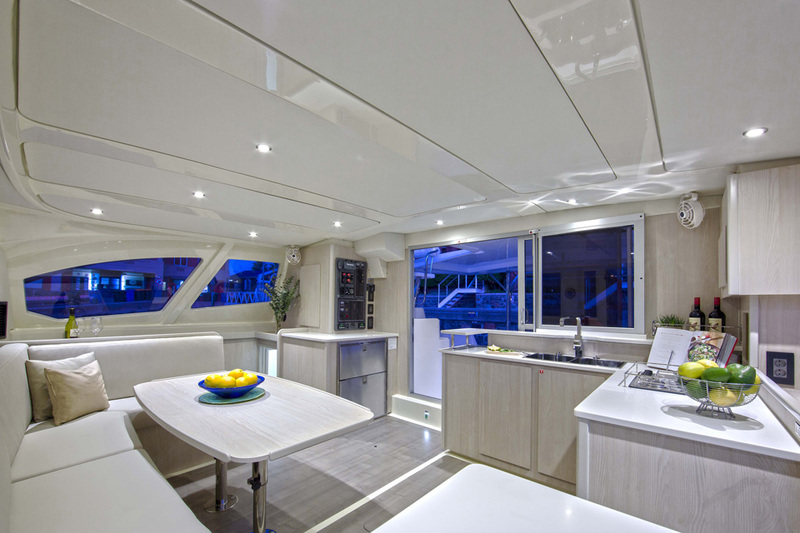 The Leopard 44 features an upgraded interior design. 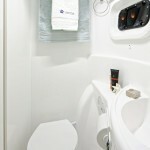 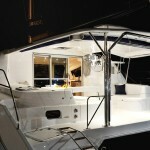 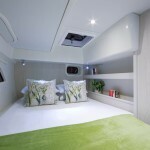 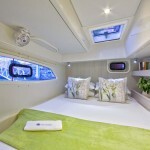 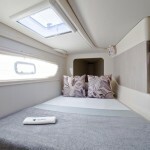 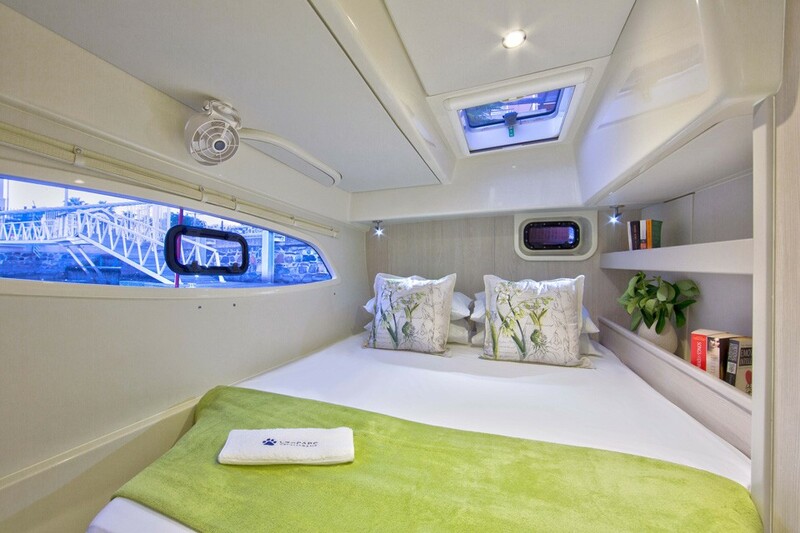 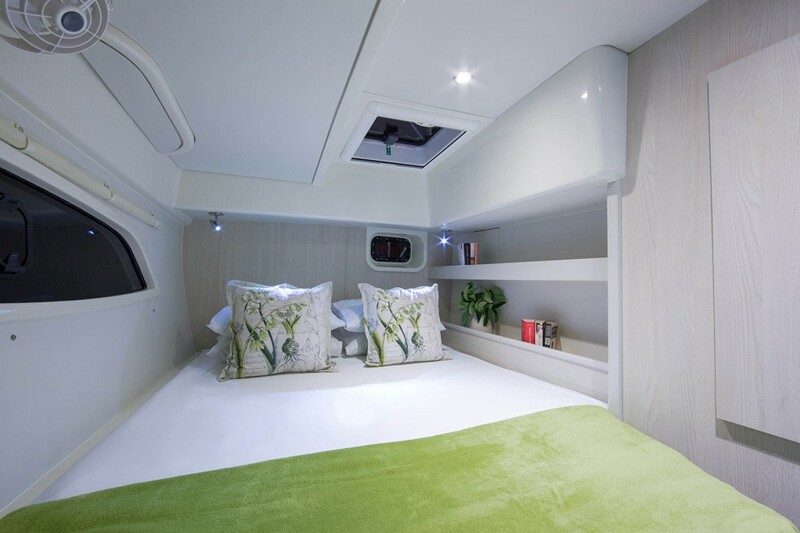 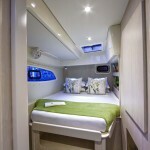 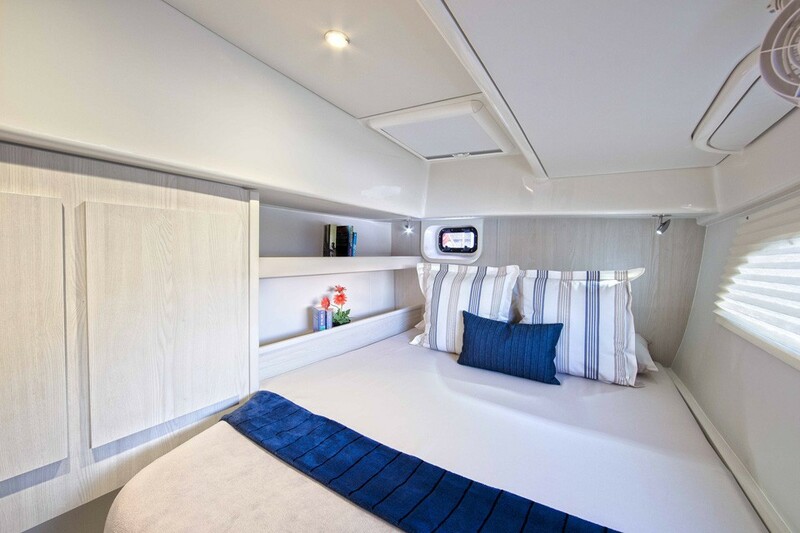 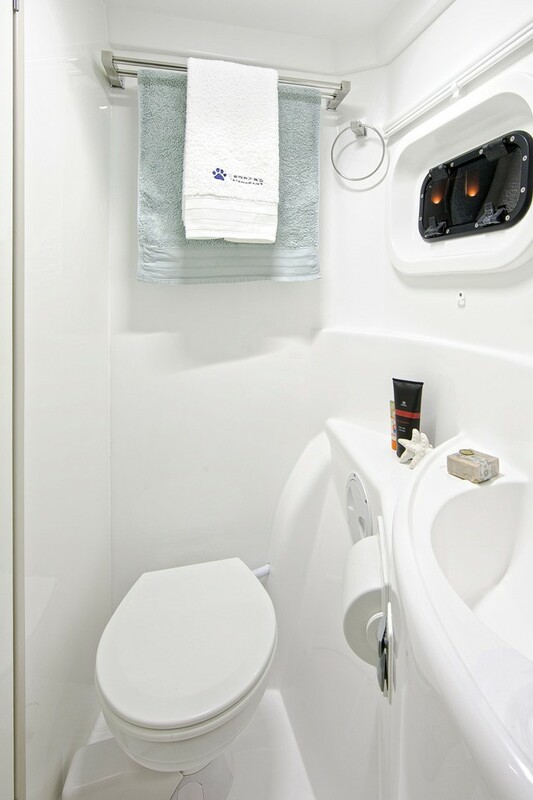 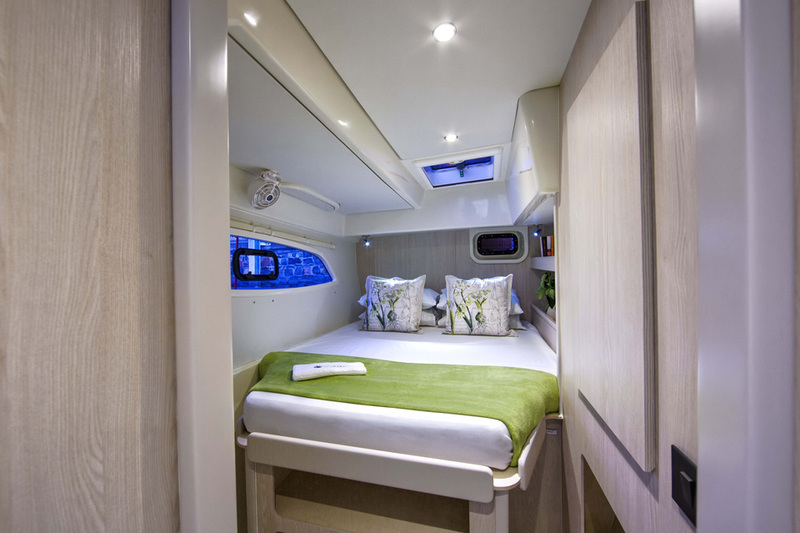 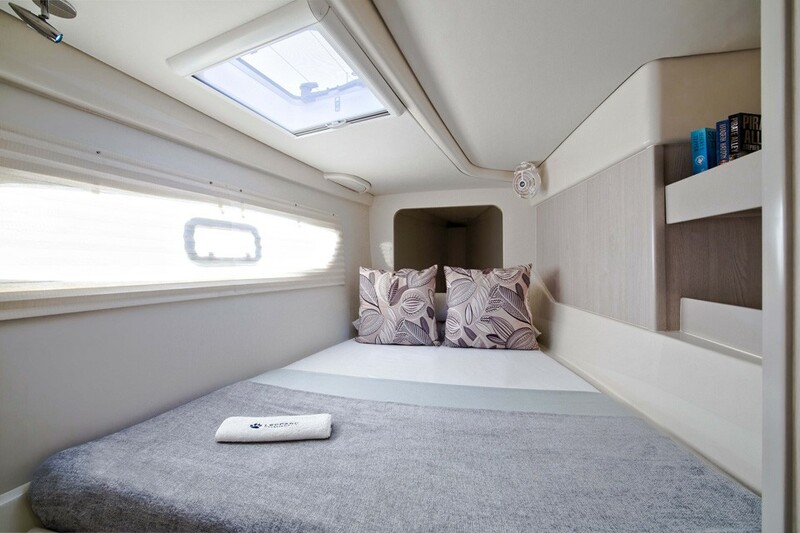 It has a light and airy feel with modern appliances and a 3 and 4 cabin layout with en-suite heads.